Be it a reclining chair or a sofa, there is no denying that upholstered furniture brings elegance and character to your home. It is where you lean back after a long day of work and hustle, and rewind comfortably when you finally get home. It pays to clean, treat and maintain your upholstered furniture very well. If you don’t know how to do that, then we have highlighted some of the best tips that will help you a great deal. You can also contact a professional fabric sofa cleaner for help or sofa cleaning services. Everyone sits on your cushions. If you have kids and pets, its means that they are jumped on many times every day. Moreover, your cushions are routinely flattened out as people sit on them because they are made of very soft material. Because of all these, the material might lose its shape, which means that your upholstered will also lose its shape. Therefore, you should regularly fluff them up. You can do this by regularly prodding, slapping and light punching as this will help them retain their original shape so that they can offer comfort for many years to come. When you protect the shape of the cushions, your upholstered will also stay in its prime condition because the seams will not be overstretched by any twists and wired shapes. As expected, dust will settle on everything including your upholstered chairs and sofas in your home. When someone sits on your sofas and chairs, their weight forces the dust on the surface down deeper into the upholstery fibers. If you wait for a long time before you vacuum clean, the dust will act like an abrasive, and will cut and scrap your good looking upholstery on a microscopic level. This will cause to wear out faster. To protect your upholstery, make it a routine to vacuum out the dust every time you are performing regular house cleaning. You can also hire cleaners who offer sofa cleaning services in Singapore to vacuum clean your upholstery regularly. High quality stain protection products will go a long way in protecting your upholstery. You can ask reputable professionals who are skilled in upholstery cleaning in Singapore to recommend for you the best stain protectors that are specifically made for the type of your upholstery’s material. Professionally applied stain protection are the best because they will help make your upholstery very easy to clean as they normally provide a slick extra layer between upholstery sofas and materials which might stain it. These stains protectors can also help in slowing down potential damage from UV rays in sunlight. Prolonged direct sunlight can damage your upholstery especially when you have upholstery made up of fine leatherette or fabrics. The ultraviolet rays in sunlight can deteriorate the condition of your upholstery material and thus reduce its lifespan. Yes, just a little exposure to the sun from time to time is just okay. However, you should avoid prolonged exposure to sunlight. If possible, they should not be exposed to sun at all. It is highly recommended that you flip over your upholstery cushions regularly depending on how frequent they are used. This will ensure that your upholstery wear out uniformly. Again, it will help the cushions maintain their shape. You should actually do this for both back and the seat cushions. Always pay more attention to the cushions at the center for three-seat upholstery sofas. People tend to sit on the side of the sofa next to the armrest. This therefore means that rarely will you find someone sitting at the center of a three-seat upholster sofa. If all the three cushions are identical, switch the center cushion with the others on the side regularly. This will promote even wear and good maintenance of the cushions. 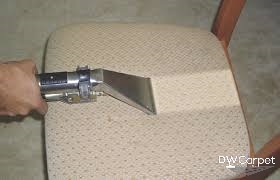 It will also protect your upholster sofa on both sides of the seat. If you find it hard to clean your upholstery, there is nothing to worry about. You can always find sofa cleaning services at great prices in Singapore.